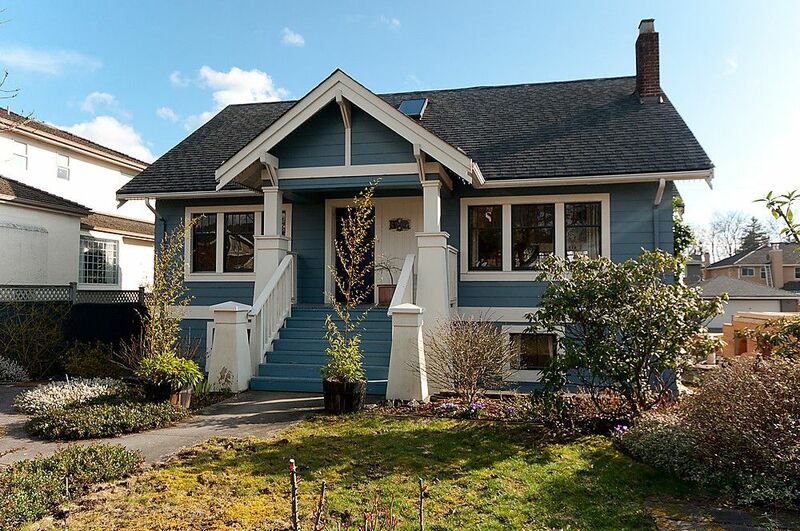 Charming Kerrisdale home with original character intact. Built in 1925 with Oak Hardwood floors and wood-burning fireplace. Custom mantle in living room and generous rooms throughout. Considerable mechanical upgrades in 2001 as well as new kitchen, gas cook top, high ceilings and bright eating area, bathroom on main updated with NuHeat in-floor heating. Two bedrooms on the main floor and 2 large bedrooms with bath upstairs. Great lower level development with French doors opening to garden level patio. Quiet south-facing 50 x 130' lot within easy walking distance to Kerrisdale Elementary & Crofton House schools. Open: Sun, Mar 27, 1-3. Open Wed, March 30, 10-12.